Looking for somewhere to play games with other people with similar interests? Look no further. Blue Devil Smash is an organization here at the University of Wisconsin-Stout where members can get together and competitively play video games, especially Super Smash Bros. “If you don’t have a Nintendo Switch or can’t afford to buy the new game, that’s no problem. Bring a GameCube controller if you have one and play 4-player Smash with our community members!” said Vice President of Blue Devil Smash, James Knop. The org’s meetings are held every Saturday in the MSC, room 144 starting at noon. During their meetings, they hang out and play games, including tournaments. The games that they consistently run tournaments for are: Super Smash Bros Melee, Project M, and Smash for Wii U. They also host Tekken, Rivals for Aether, Pokken, and Sour Caliber VI tournaments. “Our weekly attendance is relatively consistent, but we encourage the people interested to come on down, hang out, and play some Smash. If you decide to come, don’t be afraid to interact. We are approachable and accepting of everyone!” said Knop. Currently, the org has 142 members on Stout Connect. 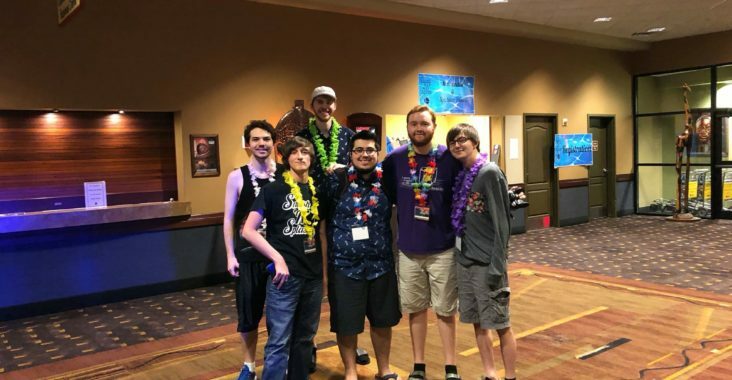 “The best part about our organization is the tightly knitted community, it’s a community created around something that we all love and are passionate about: Super Smash Bros. One of our legacy members, Vang Thao says, “the thing I like most about BDS is not exclusively for the competitors/competitions, but to have fun and teach others to improve at a game they like or just plainly have fun,” said Knop.